What education do you need to work in theatre stage lighting? On Stage Lighting asks a leading Lighting Designer and Chief Electrician what they really look for in a candidate. And what is their ideal stage lighting education? Questions about education come up frequently here and at other lighting websites. Does a qualification in stage lighting mean that you are guaranteed a job in the theatre? Should you choose a stage lighting course or just try to get lots of practical experience? In a short series of interviews, On Stage Lighting asked four simple questions of some UK stage lighting employers to find our what really matters. We are starting with Ashley Bale, Chief LX at Oxford Playhouse. The theatre is an acclaimed regional producing theatre – just the kind of place that many stage lighting professionals find their first job – Assistant LX. AB: Theatre is a funny old game. You work very unsociable hours and the theatre is your family away from home – we all need to get along and look out for each other. I can tell if a candidate can work with the rest of the team and that’s the most important thing in my eyes. Training is important but a real theatre is always your best training ground. There is a growing emphasis on provable training and skills – the business is becoming more “professional”. Do you think that the “old” ways of training (like helping out at your local theatre) will become impossible or obsolete? AB: Although you say theatre is becoming more “professional”, my belief is that nothing really has changed. Health and safety places limits on what beginners can do, but there is always something. Your local theatre can let you follow spot, help with colour calls and basic maintenance. My last assistant electrician came into the theatre during a fit up and asked if I had any work or experience I could give him. I told him to come back 3 weeks later to help with our dark weeks, to help with maintenance. He ended up becoming full time and worked for me for 3 years. Go to your local theatre and ask to help out – you never know what it might lead to. AB: The truth of the matter is there aren’t enough theatre jobs for everyone coming out of college these days. To make a career of being a “just” a lighting designer is very hard, even the well known lighting designers can struggle to get enough work all year. I would steer clear of specialised degrees and look for a broader course. A wide range of skills are much more attractive to an employer. AB: What I am always looking for in my assistant electrician is someone who has had a good basic theatre training and you can’t really beat the theatre schools. 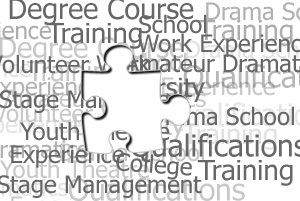 Theatre schools tend to have good links with the industry so can help you find good quality work experience placements. A potential employer will often know someone working at that theatre or company. Thanks for taking the time to put us in the picture, Ash. Outside of theatre, the event stage lighting industry is a large employer of lighting professionals. This work includes corporate shows, concerts and all kinds of events in a wide range of venues. There are others as well but I have worked with people educated from these establishments and found them all to be more than proficient and employable. Work towards a place in one of these or similar establishments and you won’t go far wrong.